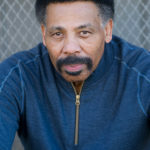 NASHVILLE, Tenn.—Society may be confused about the true definition of manhood, but pastor and author Tony Evans isn’t. The Bible, he says, provides a clear picture of what God expects from men, even if the cultural tide is swimming in the opposite direction. 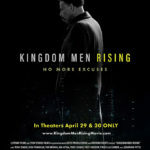 Evans hopes an upcoming theatrical movie, Kingdom Men Rising, helps transform everyday men into the “biblical men” God wants them to be. 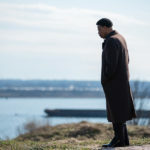 The documentary film is an extension of two of his books, Kingdom Man and No More Excuses, and will address the current state of manhood before examining what God requires of men. Kingdom Men Rising will feature former NFL coach and current television commentator Tony Dungy, former NFL quarterback Jon Kitna, former Heisman Trophy winner Tim Brown, musical artist Kirk Franklin, NFL executive Troy Vincent, Evans’ two sons (Jonathan and Anthony Evans) and two daughters (Priscilla Shirer and Chrystal Evans Hurst), and Evans’ nephew, Jonathan Pitts, whose wife, Wynter, died last year. Evans is the host. 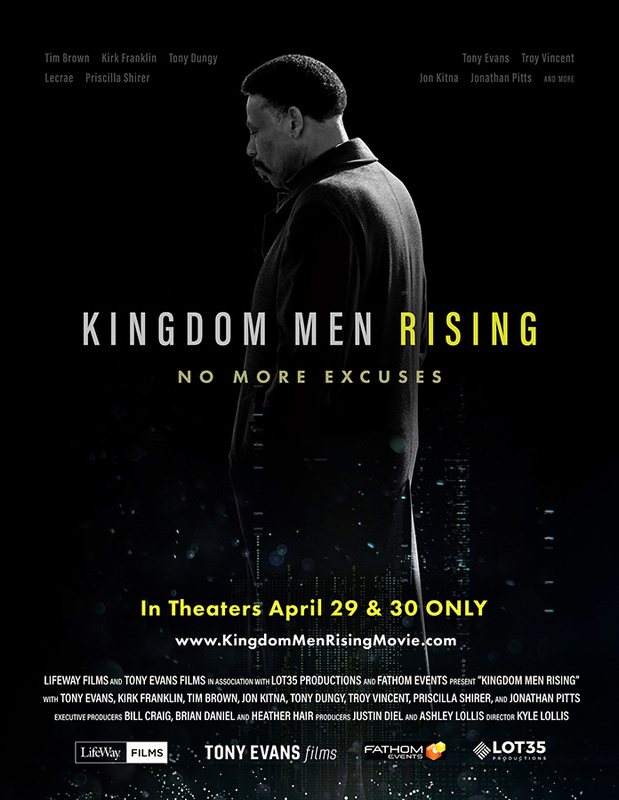 Presented by LifeWay Films and Tony Evans Films, in association with Fathom Events, Kingdom Men Rising is in movie theaters nationwide for two nights only—April 29-30. A companion Bible study, No More Excuses, will be released in May. The film is aimed primarily toward men, although wives and mothers are invited, too, say the filmmakers. Evans hopes men’s groups purchase tickets in blocks. Evans separates “biblical manhood” from “cultural manhood,” which he says can be defined several ways but always strays from Scripture. The definition of cultural manhood varies—from the “man who doesn’t take his masculinity seriously,” to the “abusive man,” to the “undefined man” who doesn’t know his identity, Evans said. “All of them should be shifted to God’s definition of man, which means a male who is consistently operating under the rule of God over every area of his life,” Evans said. One of the film’s executive producers, Brian Daniel of LifeWay Christian Resources, said the timing for the movie couldn’t be better. “We’re releasing Kingdom Men Rising into a culture that, we feel, really needs this message,” he said. Daniel believes moviegoers will find the film inspiring and entertaining. It includes a barbershop scene in which Brown, Franklin, Evans and his two sons discuss the topic of masculinity. It took about half a day to shoot and was inspired by LeBron James’ TV series The Shop. Historically, Daniel said, men “have had a fairly clear understanding of what their role is.” Yet over the course of the “last few decades,” that understanding has waned. The culture, Evans said, has stripped men of their “divine responsibility” to be provider, protector and leader of the family. The movie, Evans said, is for Christians and unbelievers, too. For more information, visit KingdomMenRisingMovie.com. To find a showing near you, visit Fathom Events. Michael Foust is a freelance writer. He has covered the intersection of faith and entertainment for more than a decade.